Welcome to another instalment from my 2017 Italy series. I recently spent a month in Italy, travelling from the north to the south. I have put together a few travel guides such as this one from Procida Island and this one from Rome! In today's post, I bring you a visual tour of my time in Florence. We spent just two days here, it was a quick trip! So this post is ideal for those of you travelling with time constraints! P.S. 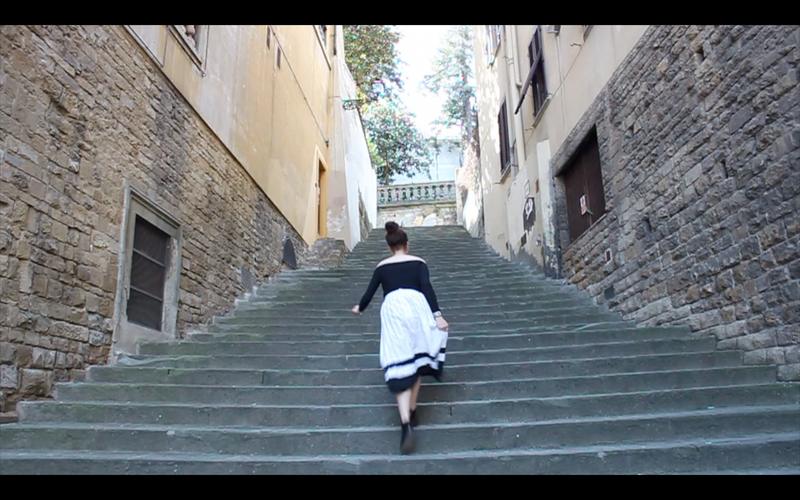 Skip to the end for a link to my Florence YouTube video! We stayed in a lovely Airbnb just a five minute walk away from the river Arno. We in fact walked everywhere we went from this apartment! It was a great size and we had use of the kitchen which was a great way to avoid eating out so much. From those steps, you can follow them up and around toward Piazza Michelangelo. Here, you have the Japanese and Rose gardens to explore before heading up to the Piazza itself for some breathtaking, panoramic views of Florence. The Central Market is a great place to sample some authentic and traditional Tuscan dishes. The market hall is a huge space filled with lots of different vendors selling all sorts of food to suit everyone's taste. It is also a great place to pick up any edible souvenirs to take home! Right by the market was the home of Sara, my BonAppetour host! BonAppetour, if you don't know, is a platform for locals in countries around the world to offer dining experiences to tourists and visitors. I wrote all about the experience here. Have you ever been to Florence? Is it on your bucket list?